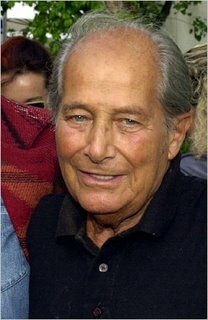 Most of Friday's obituaries for Gillo Pontecorvo duly noted that because of his relatively meager oeuvre -- he made only a handful of features during a career that spanned decades -- the Italian-born auteur earned the nickname of "lazy director." (A confession: I thought the guy had died decades ago.) But, really, he needed only one masterwork to ensure his immortality: The Battle of Algiers (1966), his stunning documentary-style drama about the violent uprising of Algerians against French colonial forces in the 1950s. Nominated for three Academy Awards -- including Best Director and Best Screenplay -- and often cited as a major influence by directors as diverse as Oliver Stone and Steven Soderbergh, Algiers demonstrated its undiminished impact just three years ago when Pentagon officials screened the film for employees and associates as an object lesson in dealing with insurgents and terrorist cells. Noted the New York Times: "The Pentagon's showing drew... [an] audience of about 40 officers and civilian experts who were urged to consider and discuss the implicit issues at the core of the film - the problematic but alluring efficacy of brutal and repressive means in fighting clandestine terrorists in places like Algeria and Iraq. Or more specifically, the advantages and costs of resorting to torture and intimidation in seeking vital human intelligence about enemy plans. As the flier inviting guests to the Pentagon screening declared: 'How to win a battle against terrorism and lose the war of ideas. Children shoot soldiers at point-blank range. Women plant bombs in cafes. Soon the entire Arab population builds to a mad fervor. Sound familiar? The French have a plan. It succeeds tactically, but fails strategically. To understand why, come to a rare showing of this film.'" All of which prompted Slate.com's Charles Paul Freund to offer a perceptive primer on Pontecorvo's incendiary epic. And before you ask: No, there's never been any indication that President Bush ever has requested a special White House screening of The Battle of Algiers. Maybe, in honor of Pontecorvo's memory, someone should send him a copy of the DVD? You might enjoy this great interview with the man. The incredible shrinking release pattern? Can Fernando Meirelles save Brazilian cinema?